Placed ninth on 1-meter with a career best score of 331.50 at the ACC Championships…also took 14th on 3-meter at 324.20 and 11th on platform with a personal best of 314.20…won 1-meter against No. 3 Florida with a score of 321.95 in his first meet back from injury. Competed at the 2015 Zone B NCAA Qualifier…was second against UF on 3-meter with a top score of 389.55 and won 1-meter with a personal best score of 331.42…was ninth on 1-meter and 3-meter at the GT Invite…was second on 1-meter against NC State and Georgia Tech with a score of 311.15. Showed tremendous improvement during the season and capped it off by scoring points on 3-meter at the ACC Championships with a 17th place finish…qualified and participated in the 2014 NCAA Zone B Championships…posted a career best score on 1-meter in the meet against Florida Atlantic where he took third in the event. 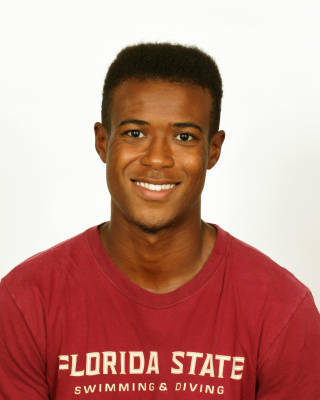 Appeared in three meets including the ACC Championships for the Seminoles…placed 21st on 3-meter after taking 22nd on 1-meter at ACC’s…competed against South Carolina as well as Georgia Tech and NC State. A State Champion for Leon High School in 2011…a member of Tomahawk Diving Club. Born April 19…son of Dwayne Cole…majoring in Exercise Science.